Springtime offers so much beauty. The sweet scent of blooming perennials, singing birds and hints of the warm summer to come … it truly is a time for rebirth, new beginnings and fresh opportunities. It’s also a time when clients will be looking for ways to rejuvenate and renew their skin—getting rid of that dull winter skin and readying for the summer. With the icy weather that impacted most of the U.S. this past season, it’s finally time to reset the skin and bring back the radiant, healthy glow every client longs for. By approaching skin rejuvenation much like you would growing a spring garden, you can help clients achieve their skin goals this season—and not just for the face—for the entire body. Glycolic acid—an exfoliating alpha hydroxy acid (AHA) that will enhance the skin’s rejuvenation and provide deeper cleansing with minimal irritation. You might start with a glycolic- and herb-based cleanser to soften skin cells, reduce cellular build up, and provide antibacterial and antiseptic support. A botanical fruit acid lotion with glycolic and salicylic acids will continue the mild exfoliation while supporting the antibacterial and lipid-reducing properties of the cleanser. Retinaldehyde—an encapsulated retinal, and the least irritating of all vitamin A derivatives. This works to stimulate cellular turnover, encouraging new collagen formation while preventing existing collagen from breaking down. Flower acids (phytic and pyruvic acids)—obtained from hibiscus chalices and lotus flowers, these are classified as second-generation AHAs because of they are nonirritating and provide more hydration than lactic acid while still stimulating turnover. Look to flower acid peels and masks (which clients love this time of year) to brighten skin tone, soften and dissolve cellular build up, balance oil production, rejuvenate the skin by creating desquamation, and deliver healing and hydrating support. Now that the garden is prepped, the earth can be seeded to start the regrowth process. In our case we need to re-nourish the skin to encourage the new cells to continue to proliferate. Ingredients such as epidermal growth factors (EGFs), peptides and antioxidants will help bloom beautiful, bright, healthy skin. Epidermal growth factors (EGF)—support cellular proliferation (keratinocytes and fibroblasts) while promoting healing and tissue regeneration. Peptides—these amino acid proteins are essential to collagen and healthy, strong skin. One of the most cutting-edge peptides is the chrono peptide, which activates a defense mechanism during the day and regeneration at night. Antioxidants—Boldine (D), green tea, grape seed extract, resveratrol—to name a few—will provide skin-strengthening and firming support, and ensure new cells are healthy. Lactic acid (L)—works great with the body’s tougher skin to lift away deeper layers of dead skin cells, provide antioxidants, and regenerate and hydrate, leaving the skin smooth and polished. Physical exfoliants—ingredients like bamboo, pearl powder and jojoba beads, and treatments like microdermabrasion or dermaplaning, will work to scrub or lift away dead skin cells, by abrading corneocytes from the skin. During a facial or body treatment, it also helps stimulate circulation and pave the way for other beneficial ingredients to penetrate the skin. Finally, to keep the garden in bloom, we need to water (or hydrate) to protect it. This time of year, hyaluronic acid works great to bind moisture to the tissue without being too heavy, and Rhodiola rosea root extract helps the skin adapt to fluctuating temperatures while providing antioxidant and immune support. Zinc is a great natural blocker that also provides antimicrobial and antifungal support. Cetearyl olivate, a unique biomimetic restructuring agent derived from pure olive oil, also protects skin from damaging UV rays and other harsh environmental elements. For clients who may be looking to achieve glowing skin this season, you might turn them on to a nourishing and protective formula that also provides a hint of color. Focus on those three steps—prep, nourish, protect—to help your clients bloom healthy, radiant, happy skin this spring. Daisy flower (Bellis perennis), a natural brightener, it counteracts age spots and balances hyperpigmentation. It decreases tyrosinase synthesis and reduces melanin production in the melanosomes. Lotus (Lotus japonicus symbiosome) actively works to inhibit tyrosine activity and when used in an acid formula these effects are boosted. Lotus also has anti-inflammatory and healing properties, improves skin tone and provides hydration. Hibiscus (Hibiscus sabdariffa) has potent hydrating and soothing properties, and contains a unique mix of organic acids that are nonirritating. Hibiscus is very effective in softening and dissolving acne cysts, balancing oil production, and brightening and rejuvenating the skin by creating desquamation, and delivering healing and hydrating support. 12 Flower Facial—this treatment uses a combination of hibiscus flower acid, lactic acid (L) and pineapple enzymes to stimulate cell regeneration, along with a 12 Flower Mask to infuse the skin with vital nutrients and antioxidants, and provide hydration and brightening benefits. Skin is left soft, glowing and radiant. Clients also love the delicious tropical scent. Body treatments—body scrubs and hydrating oil massages are great add-on treatments to hydrate, nourish and stimulate the cells. You might also consider offering a series of body peel treatments to help restore a youthful, healthy appearance. Clients also love neck and décolleté, and targeted cellulite treatments as we head into the summer. This season, focus on rejuvenating and nourishing the skin using the wonderful ingredients of the season to bloom your business, not to mention beautiful skin for your client. Rhonda Allison a pioneer in the skin care industry, is the Founder and CEO of Rhonda Allison Cosmeceuticals and RA for Men. 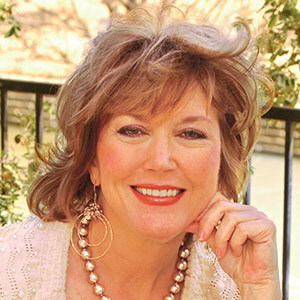 She is also an author and internationally known speaker with more than 30 years’ aesthetic experience. Visit www.RhondaAllison.com and www.RAmethod.com for more information.